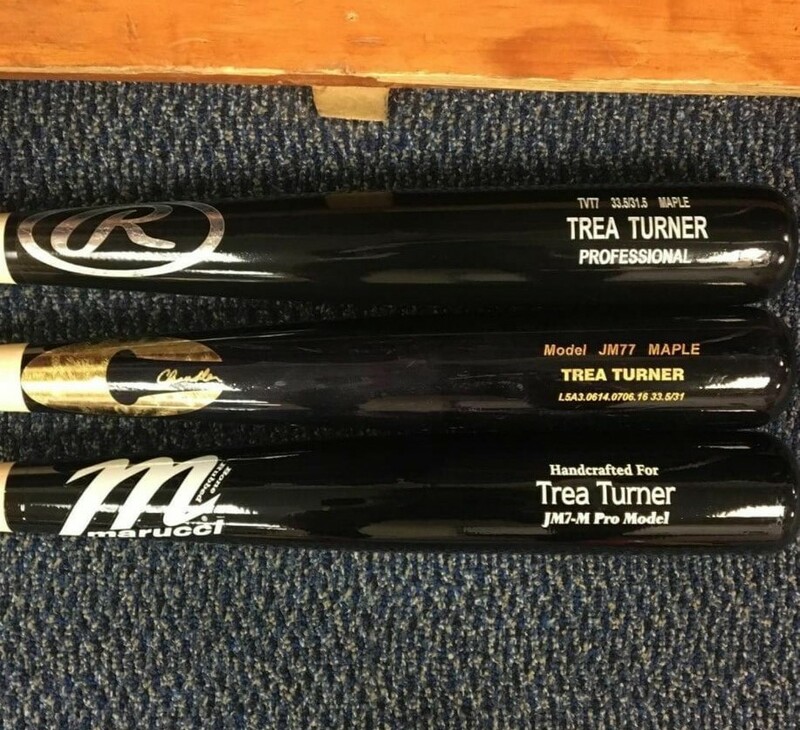 Trea Turner swings a big stick. The JM77 is cut to the H238 profile, a very end loaded model with a big barrel (shop end-loaded Chandlers at the link). Turner’s Chandler is 33.5 inch and 31 oz. 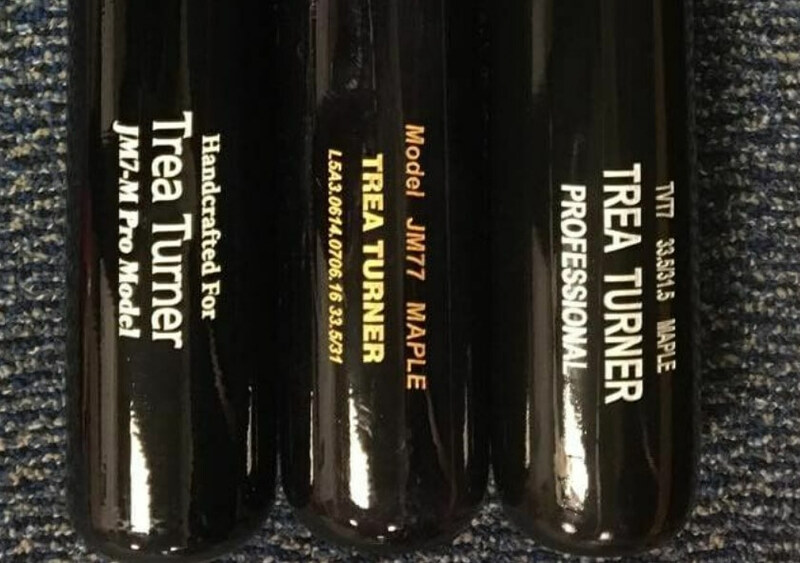 Categories: Trea Turner, Gear, Bat, Outfield, Washington Nationals, Second Base.